Last month this was a huge week for me, but with things being pushed around with release dates it turns out this week is going to be a middle of the row one for my pull list. I'm looking forward to American Vampire: Lord of Nightmares, Creator-Owned Heroes, Resurrection Man, Suicide Squad, and Batman this week, and it saddens me to know that Resurrection Man is ending soon. Still a big disappointment DC. If you haven't checked out Creator-Owned Heroes you should because it is a good over all read. You get two comics, some articles and an interview. 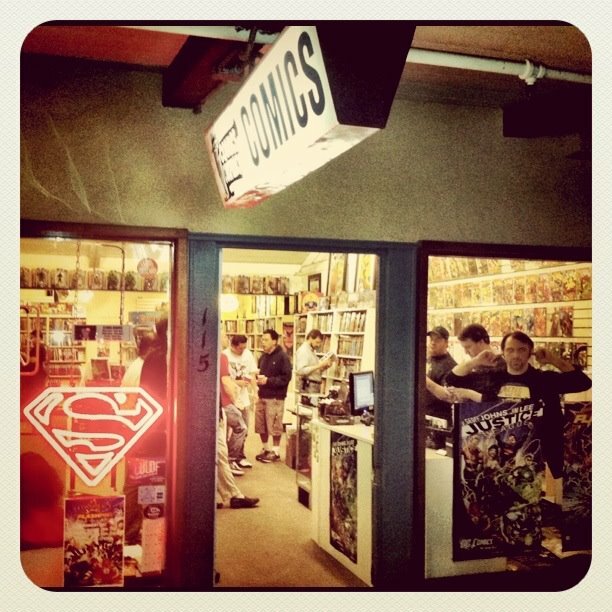 This month it is creator Mark Waid who sits down to talk some shop. Pick this up or put it on your pull list. Scott Snyder is getting lots of love from me, from last week's Rotworld cross over between Animal Man and Swamp Thing, to Batman and American Vampire: Lord of Nightmares this week. Scott you make comics fun and enjoyable. Keep it up. There is a book on the chopping block this week and it is Brian Wood's The Massive. I tried to get into this post-apocalyptic world on water, but I'm just not feeling it after two issues. If I'm not hooked with this issue I'm done. I've kept Grifter on my read list because Rob Liefeld hasn't drawn interior pages, and this small detail holds my interest just enough to read it. As for Captain America, I'm enjoying the book, but as soon as the creative team changes with Marvel Now I am going to drop the book. With Ozymandias I'm actually surprised that I could get past Jae Lee's art and enjoy the book a little. With most of the Before Watchmen titles I'm entertained enough to read them, but I will most likely stick to buying the trade of the titles I really enjoy. There you go. You have my little blurb on this week's comics. Now get down to your local comic book shop or click on over to theComics Conspiracy - Comixology Storefront, and get your weekly dose.